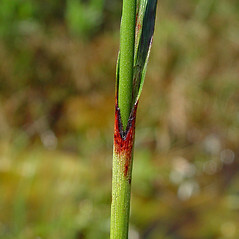 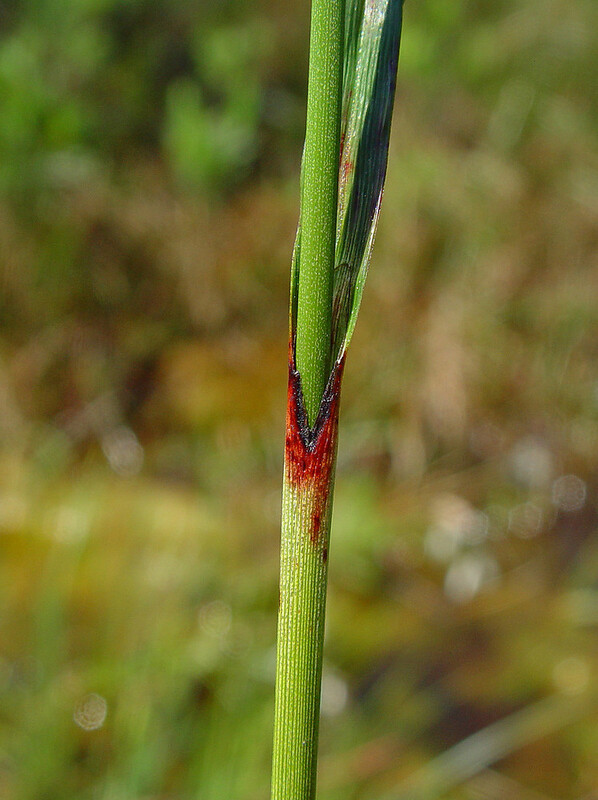 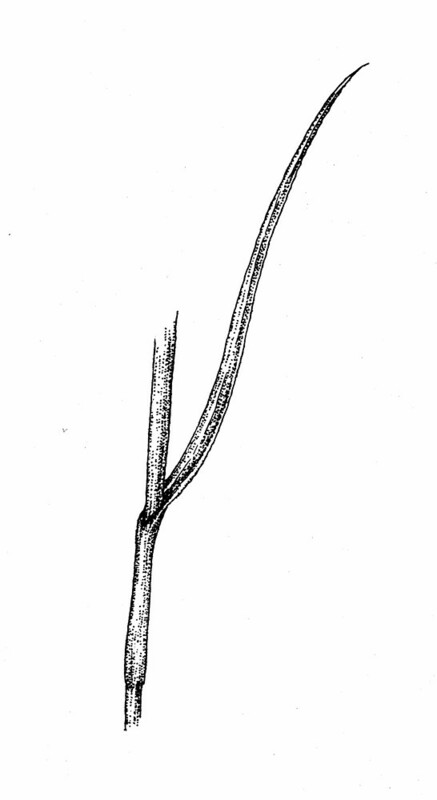 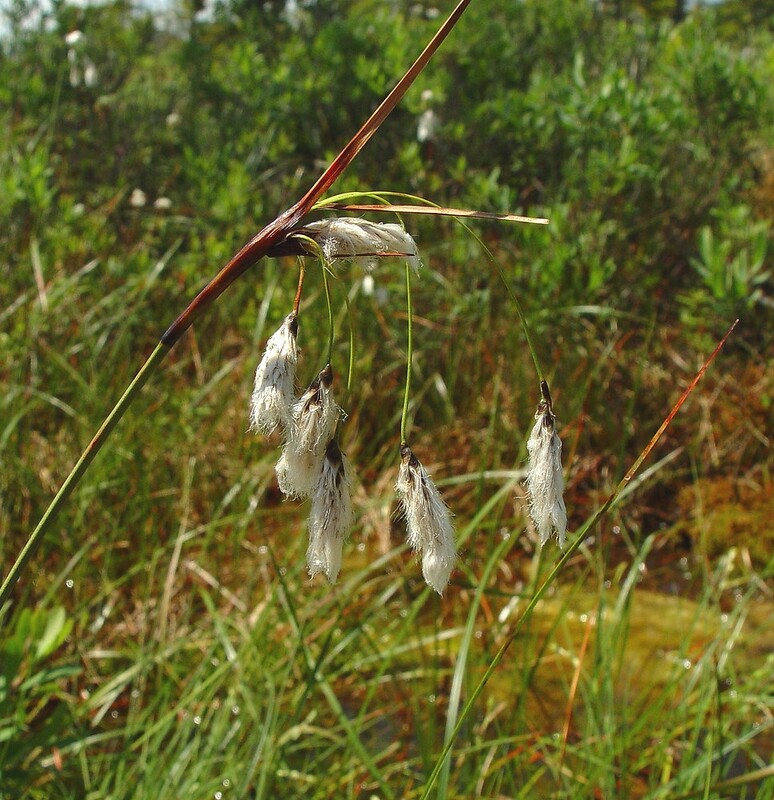 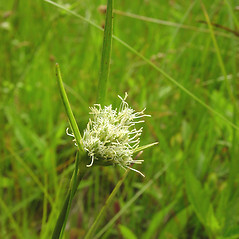 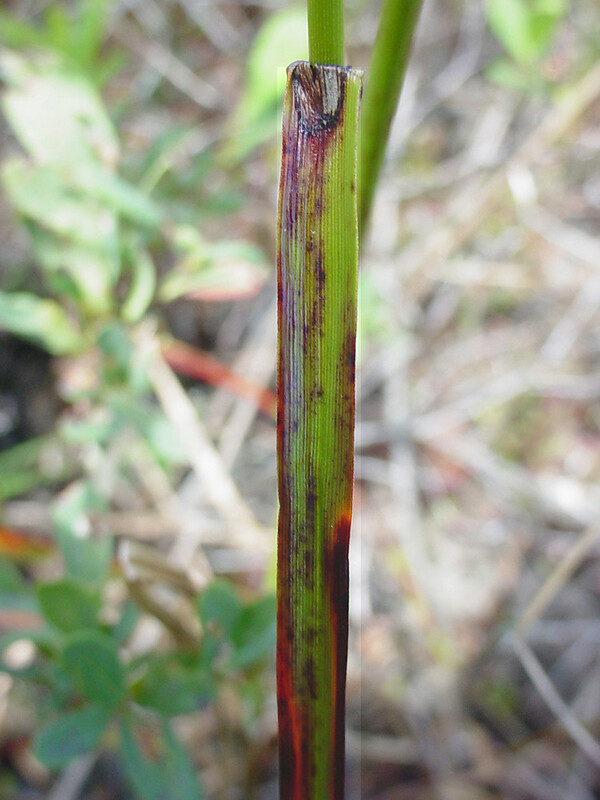 Tall cottonsedge is found across the northern United States and Canada. 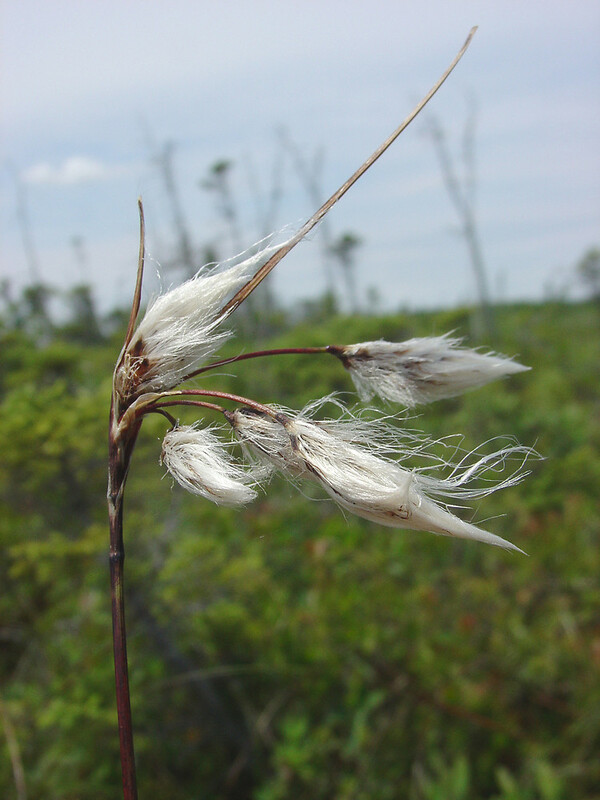 In New England it occurs in Maine and New Hampshire in peaty soils, shorelines and temporary pools. 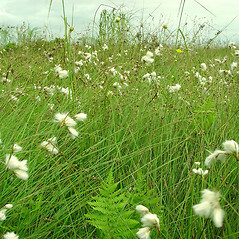 Native Americans of Alaska used the roots, stems and seeds for food, and the stems for weaving mats. 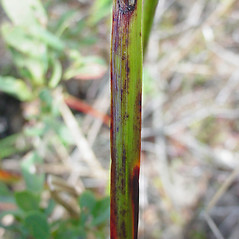 summit of leaf sheath not darkened and midrib of floral scales conspicuous near apex (vs. E. angustifolium, with the summit of leaf sheath darkened and midrib of floral scales inconspicuous near apex). 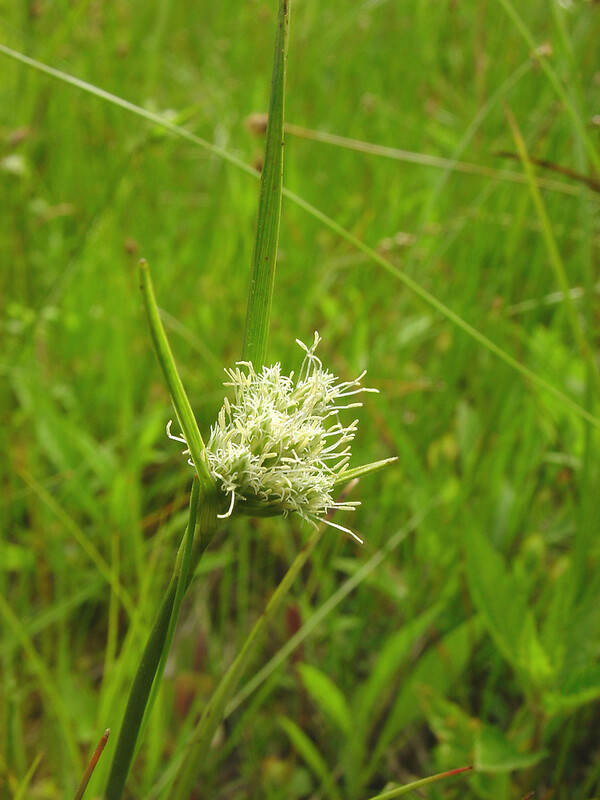 Our subspecies is Eriophorum angustifolium Honckeny ssp. 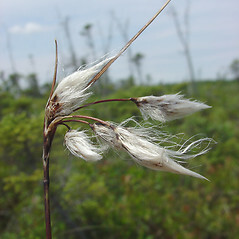 angustifolium. 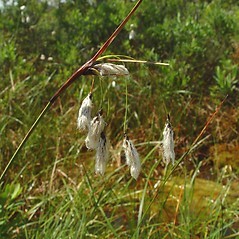 tall cottonsedge. 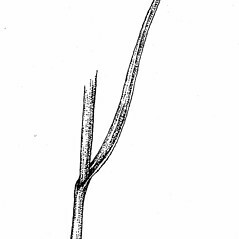 ME, NH; also reported from VT by Hultén and Fries (1986), but specimens are unknown. 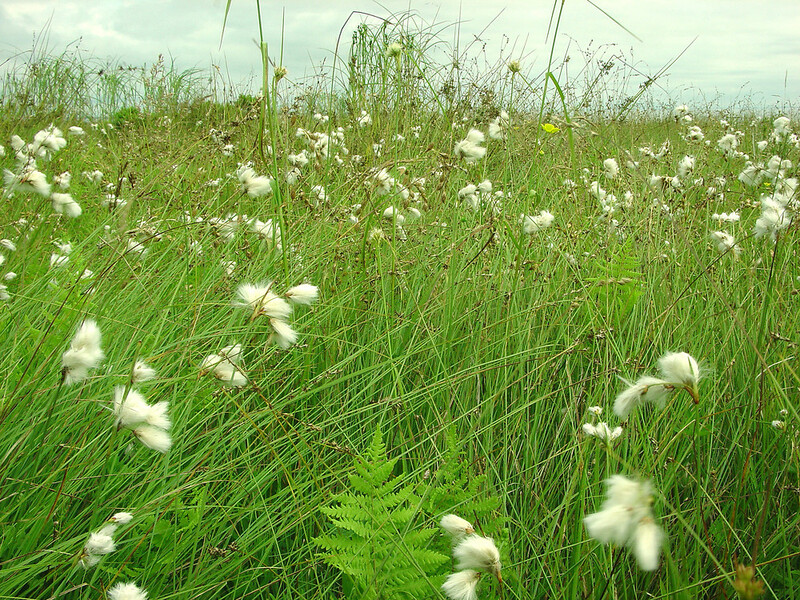 Peatlands, shorelines, peaty soils around temporary pools.